Home / Cultural and Historical tours / HANOI OR HOCHIMINH CITY: WHERE SHOULD YOU VISIT FIRST? Situated at the northern and southern extremes of this long, thin country, Vietnam’s two main cities lie over a thousand kilometres apart. Southern Ho Chi Minh City (HCMC), formerly Saigon, was the US base during the Vietnam War and since the country’s unification has transformed into a thoroughly modern, thriving metropolis. The somewhat less modern capital, Hanoi, runs at a noisier pace, with its lively Old Quarter full of winding lanes. Neither city is short of museums, temples, pagodas and impressive colonial architecture. Both have a cathedral too – relics of the French occupation – and highly entertaining traditional water-puppet shows. HCMC has several more theme parks than Hanoi, so if rollercoasters are your thing, head south. If you’re more at home in a gallery than doing loop-the-loops, Hanoi will be a better bet, as it pips the post for both fine and contemporary art. People from Hanoi are known for sometimes being more standoffish than their southern counterparts, with more traditional values and formal manners. HCMC, more influenced by foreign cultures than Hanoi – particularly American and French – has a more spontaneous and open feel to it. Innovation is king and young trendsetters lead the way, alongside thriving tech-minded entrepreneurs and booming businesses. You won’t struggle to find cheap, local culinary delights in either Hanoi or HCMC – street food is ubiquitous and, on the whole, mouth-watering in both cities. Hanoi is the home of pho (noodle soup), Vietnam’s national dish, which you can get on just about any street corner for as little as a dollar. The street food in HCMC is just as readily available as up north, but tends to be slightly sweeter. Fantastic smells waft through the side streets of both these foodie-heaven cities, and there’s a lot more to tempt your palate than just banh mi (filled baguettes) and pho. Café culture, a hangover from the French, permeates both cities too; in HCMC the coffee is sweeter and not quite as punchy as the equivalent brews in Hanoi. Both cities have an astounding array of international cuisine, though HCMC just about trumps Hanoi on the breadth and quality of choices, as well as for upmarket restaurants. The Vietnamese government is cracking down on venues opening after midnight, so several establishments close earlier than they used to. HCMC has managed to retain far more late-night options than its northern sister, though a handful of Hanoi bars still manage to stay open until the last punter leaves (or passes out). The narrow streets of Hanoi’s Old Quarter come to life at night, with thousands of locals and tourists alike flooding the alleyways, consuming cheap drinks on tiny plastic stools while snacking on steaming plates of barbequed pork and fried chicken feet. Many of the bars in HCMC have live music at the weekend, and it’s certainly the place to be for classy cocktail lounges. If you’re looking for a refined evening out, or for a club with air conditioning where you can party till the small hours, HCMC is your best bet. For cheap booze and backpacker vibe, though the area around De Tham in HCMC is great, Hanoi has far more going for it for the laidback, on-a-shoestring traveller. If you didn’t pack your smart shoes, Hanoi is where you want to be. Hanoi has the superior choice of crafts, silk accessories and handmade goods. Craftsmen specialize in wood-and stone-carvings, embroideries and lacquerware, the finest of which are on sale at the southern end of the Old Quarter. HCMC offers a plethora of cheap souvenir options, such as at Ben Thanh market, or for upmarket boutiques try Dong Khoi. The southern city is also the king of the malls, with vast, modern air-conditioned edifices housing copious brand and designer shops – ideal for cooling off from the humid urban heat. Where should I go to relax? Hanoi has developed rapidly in recent years, with new skyscrapers hastily transforming the city’s skyline outside of the Old Quarter. Both cities have populations of around eight million, but people are more crammed into the smaller HCMC. That said, the pedestrianized streets of Hanoi’s Old Quarter can get so packed with people that during peak hours it can be difficult to move at all, and the city’s ceaseless noise can be too much for some. Traffic in both cities is continuously hectic, with countless hooting scooters zipping about in a seemingly insane manner. The newer, wider streets of HCMC at least allow for more movement, but everything is relative ­– don’t expect a walk through town to be a peaceful meander. In Hanoi you can at least cool down, with average temperatures dropping to 17°C in January, while temperatures in HCMC never fall below the high twenties. Mix that with high humidity and you’re pretty much guaranteed to get a sweat on whenever you go. To escape the southern heat, the green, tree-shaded lawns of HCMC’s Cong Vien Van Hoa Park, once a colonial sporting complex, is a popular downtime spot, as is the city’s Botanical Garden. Though small, Hoan Kiem Lake is the heart of Hanoi for its residents, and a charming place to take a moment away from the chaotic city streets and watch elderly locals quietly enjoying games of chess and mahjong. Which is best base for day-trips? Ha Long Bay, a dreamy seascape of jagged limestone rocks jutting out over calm waters, is Vietnam’s number one tourist attraction and can be visited in a day-trip from Hanoi. Be warned though, it’s a hefty journey, at around four hours each way. Under two hour’s drive from HCMC, the Cu Chi Tunnels are a top option for a day-trip. The tunnels were used by the Viet Cong army during the Vietnam War, and visitors can see the wince-inducing booby traps set for the American soldiers, as well as take a smothering look for themselves inside the tunnels. Tours are best booked with a travel agency around Pham Ngu Lao (roughly 180,000 VND). Naturally, this depends what you’re looking for. Hanoi errs on the more historical, less glitzy side, allowing visitors a glimpse of traditional Vietnamese culture as well as giving ample opportunities to see the best of the country’s artistic and creative offerings while appreciating the low-key street life. HCMC, as the commercial centre of the country, inevitably has more investment, fancier hotels, smarter restaurants and an exclusive nightlife scene. However, both these metropolises have excellent museums and cultural sights, plenty of tranquil places to unwind, superb food and day-trips to some of Vietnam’s most interesting locations. Take your pick! 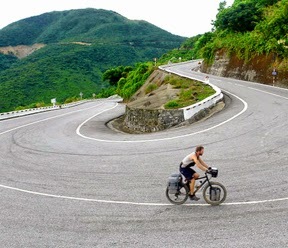 Explore more of Vietnam with the Rough Guide to Vietnam. Compare flights, find tours, book hostels and hotels for your trip, and don’t forget to purchase travel insurance before you go.